Since its start in 2012, WPPB has been backed by an administration dedicated to providing it the best facilities possible. 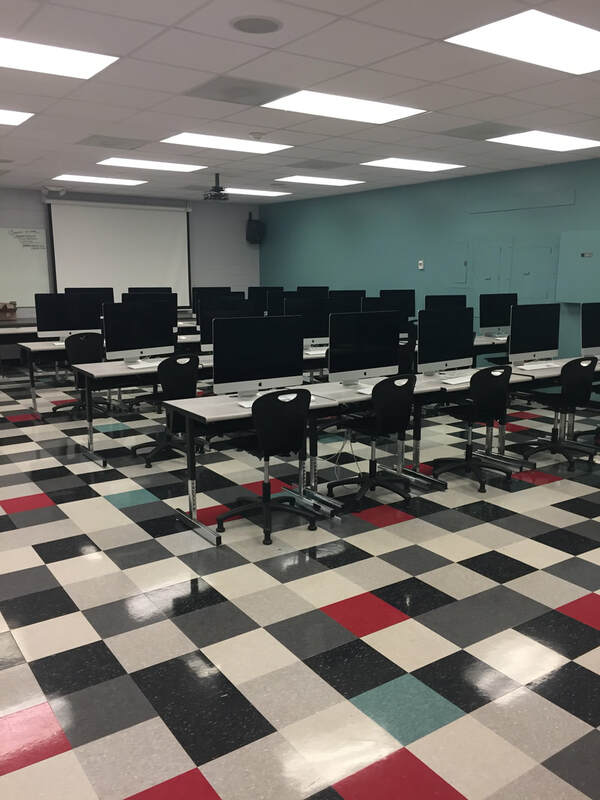 As part of the Anderson Districts 1 & 2 Career and Technology Center Media Broadcasting Program in Williamston, SC, the station is well-positioned for mass audio production and live programming. 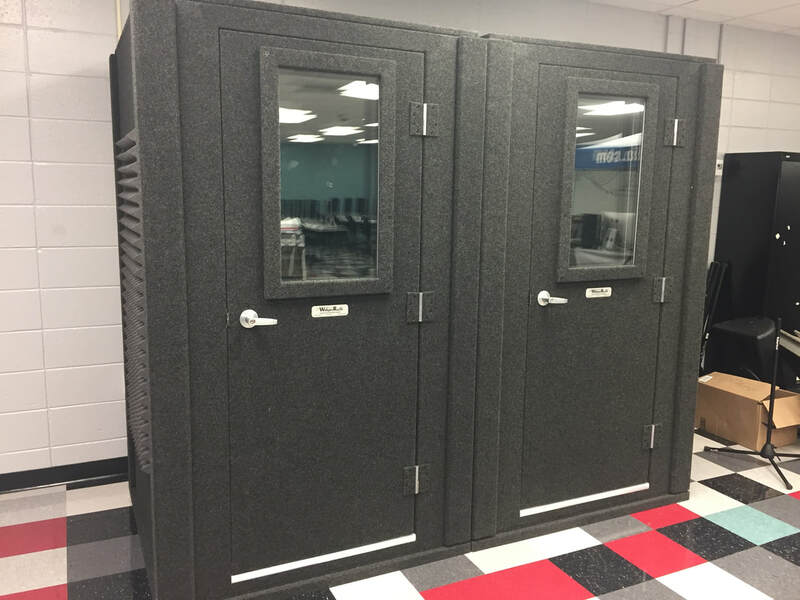 1 10x14, 4 station Live Studio with PC to run WPPB using StationPlaylist Automation and Axia Digital board. Studio also includes a separate Mac Mini for recording and internet use and Behringer Truth B3031A Monitors. 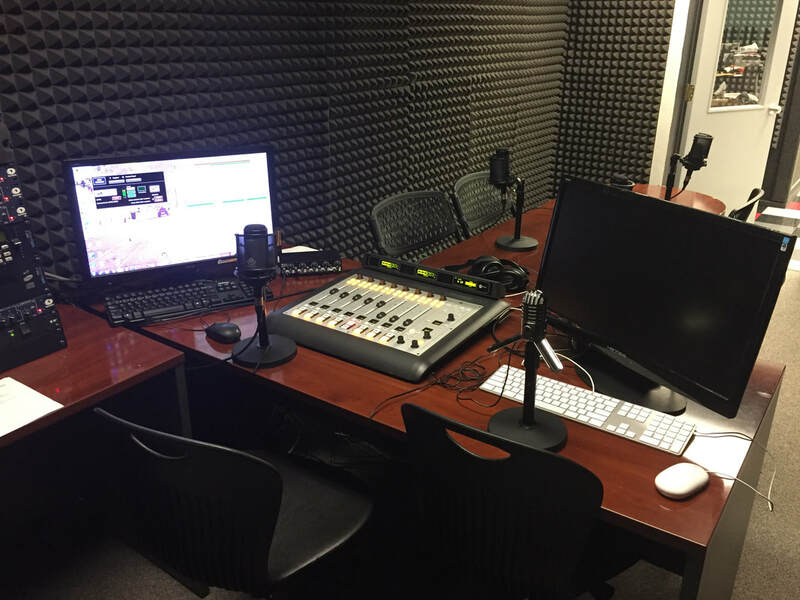 We try to envision what the future may look like in media and audio/radio production and are continually planning ahead for additions/subtractions and improvements that will best prepare our students for the job force. 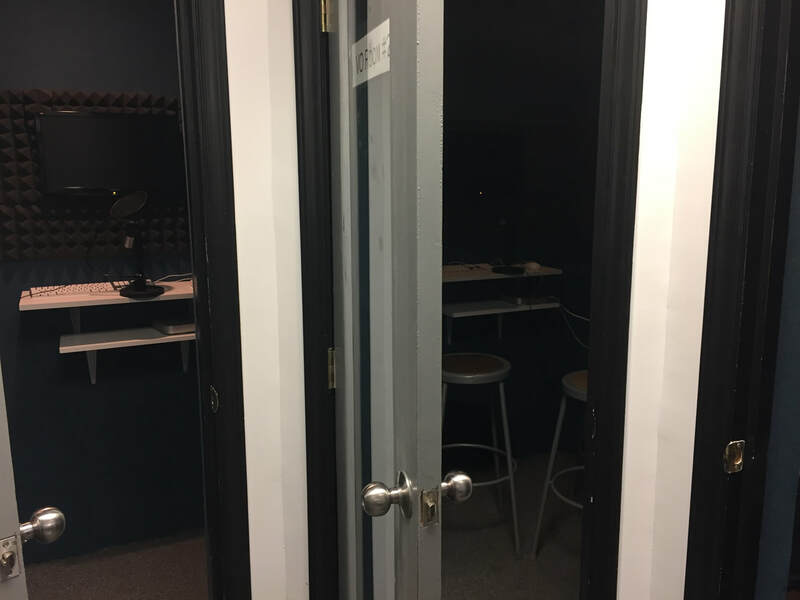 Two of our three production rooms, plus our live event "simulator!" El Corazon - The Heart! 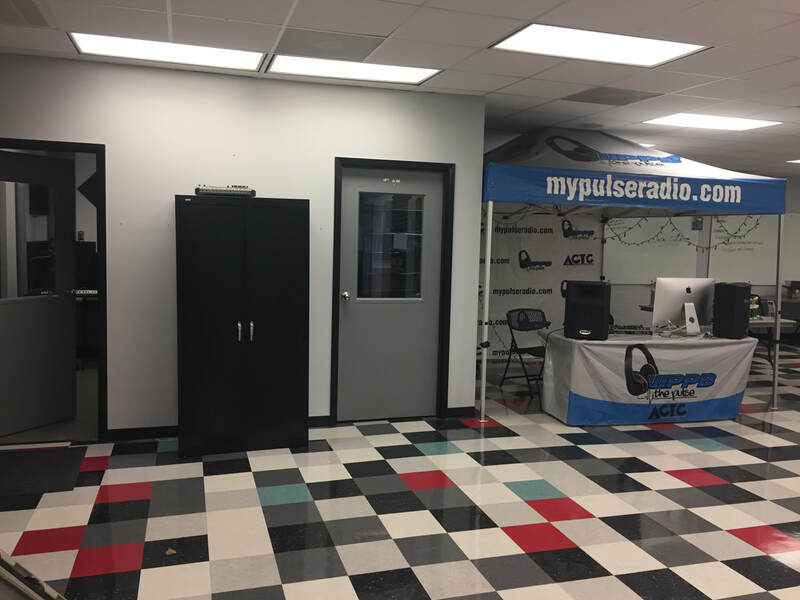 The LIVE WPPB Studio!